Choose shipping by "4PX Singapore Post OM Pro" "SF Economic Air Mail", No track info (Can't Monitor) after despatch from China. Untrackable,Buyer protection 60days(Brazil 90days),please patient waiting . Please do not open dispute ,if u need protective time,we will extened for u. Or you can pay extra money to choose AliExpress Standard Shipping. with detail track info. Because the CD is very easy to broken during the long-time trip, we don't send the CD anymore. we directly give out the QR code for the software in the bellow description. Please close anti-virus programmer when install software,Otherwise exe/zip/rar file will be attacked&delete.Please take easy,softwares are safe to your computer. About support car model,we can't promise this product can support all car,if it don't support your car,we can't refund to you,if you don't agree it,please don't place order,thank you. About your order if you have any problem ,please feel free to contact us first,we will try best to solve for you .DO NOT Leave Negative feedback ,it can't be revised after you sumbit! Note: won't send the CD anymore. you can directly scan this QR code to get the software. Thanks! This ELM327 Firmware is V1.5 ,real with PIC18F25K80 Chip. ELM327 is the latest PC-based scan tool. 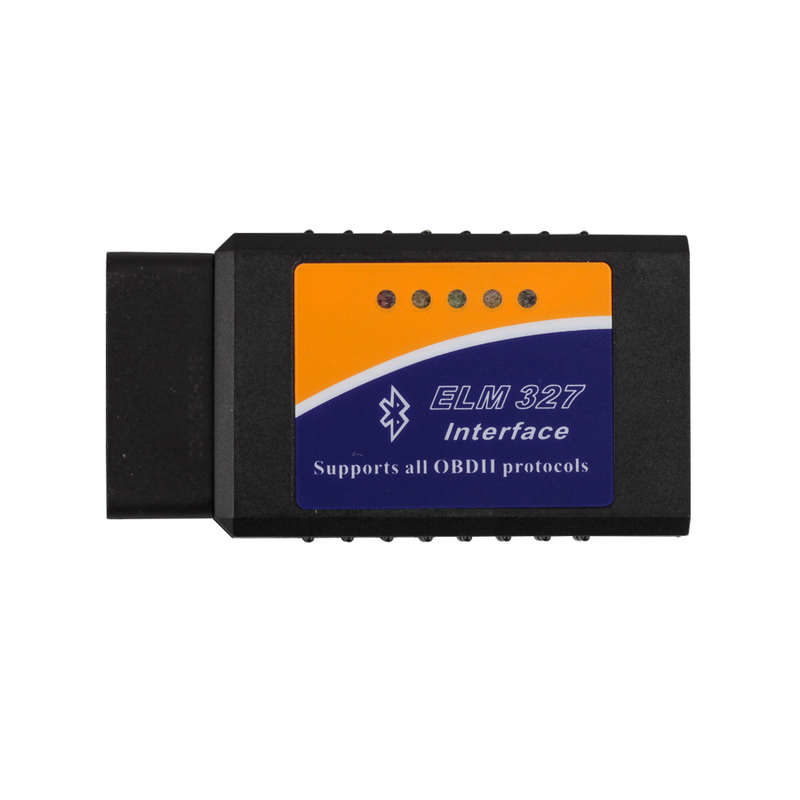 It supports almost all OBD-II protocols and is dispatched with a number of compatible programs. The processor is an ELM327. The output protocol (connection to laptop) is RS232. This type uses the cheapest elm327 program, supporting all OBDII protocols and completely the same functions with those expensive one. We promise the lowest power consumption and lowest price among all types of elm327 series in world market. *If the CD is broken,please contact seller or you can search Torque or elm327 on app store. sorry for the inconvenience to you. *This one CAN'T support for Diesel or Trucks.And you can't use it on these cars that are not 16pin adapter. *Latest software version supports most of OBD-II protocols. *Please use Android System V4.0 to V4.4 version.More system will come soon. OBD2 compliant vehicles. It is exquisite and convenient to use. Q:What version of this ELM327? Q:What Chip of this hardware V1.5? Q:How many language of this device software? Q:Does it supports Russian Language? A:Yes,but you must download the APP which is Russian language by yourself. Q:Does it supports WIFI and iOS? Q:Does Hardware V1.5 better than V2.1? A:Yes,Hardware V1.5 is more stable than V2.1 ,also from many buyer feedback,V1.5 supports more protocols and car brand . Q:Does this device works diesel car or truck? A:No,it works only gasoline cars ,supports most OBDII Standard protocols. Q:How can i know if this device works my car or not ? Q:How is the step for Run software on android phone? 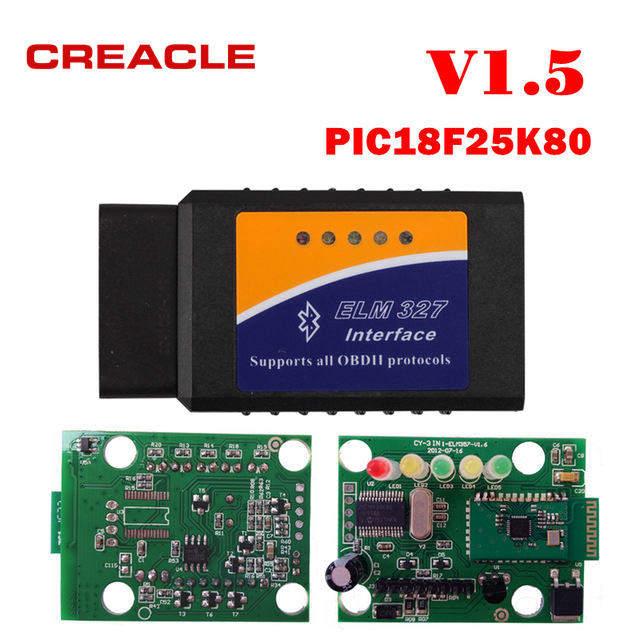 A:Open your android phone software–Setting–Connecting Type–OBD2 Adapter Setting–Bluetooth–Choose Bluetooth Device–OBDII. Q:My android phone connect to my old ELM327 before ,do i need delete previous informations? A:Yes,please delete all old informations ,so make sure you can connect your new ELM327.